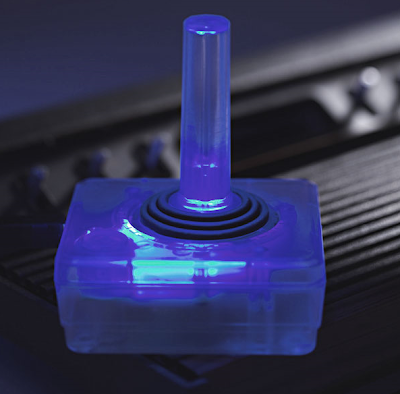 Well, I got to thank reader Uros for bringin this to my attention, as this is the incredibly retro gaming friendly Clear Classic USB Joystick. And yes, it does look like the classic Atari 2600 joystick. Heck, it even comes with 80 built-in 2600 games and is compatible with most emulators out there and definitely the Atari ones. Intrigued? Good, so am I. Find out more here. Sinclair QL: in a box!